Business Insider/Mary HanburyCasper’s first store opened in New York in February. Casper, the online mattress startup, announced this week that it is opening 200 stores in the United States. Meanwhile, Mattress Firm is considering filing for bankruptcy as it seeks a way to close some of its 3,000 locations that are losing money. Casper CEO Philip Krim said that store closures and bankruptcies do not signal the death of retail but rather the death of “poor retail,” as stores that fail to provide an exciting shopping experience will suffer in the future. A commercial real estate crisis is enabling Casper to win cheaper rents and favourable leases. When Casper launched in 2014, it had one simple objective: to take the hassle out of shopping for a mattress at a store. To do so, it enabled customers to buy a mattress online, have it shipped to their home, test it for 100 days, and then return it if they didn’t like it. A store played no part in the service. Fast forward four years, and after testing the waters in brick-and-mortar retail with a collection of pop-ups around the United States, it opened its first store in New York City in February. Now, 200 more will join it. “It’s definitely counter-intuitive, but I think it almost puts as a bit of a contrarian, which we are happy to be,” Casper CEO Philip Krim told Business Insider in an interview on Thursday. The announcement of its new stores, which was first reported by The Wall Street Journal, came several days after Reuters reported that Mattress Firm, the largest specialty mattress retailer in the US, was considering filing for bankruptcy. While the timing of these two announcements is likely coincidental, it’s symbolic of where retail is headed. “We do not think there is anything near the death of retail, but we do think that there is a death of poor retail,” Krim said. 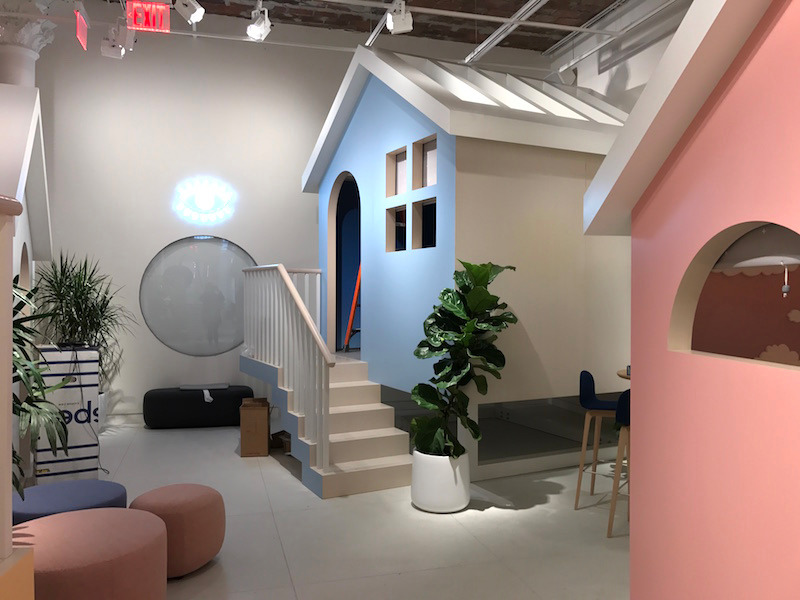 Casper’s stores aim to be the antithesis of that experience: fun and engaging spaces for all things sleep-related. Krim said that the success of Casper’s temporary stores hadn’t come at the expense of its e-commerce sales. In the markets where they have these stores, they have seen far more growth online, he said. This is because they can serve as marketing tools and a way to educate people about the brand. Casper’s New York location is a blueprint for the stores that will follow. Krim pointed to San Francisco, Los Angeles, Toronto, Minneapolis, Denver, Chicago, Boston, and Miami as some of the likely store locations. While Casper might believe it has cracked the code to brick-and-mortar retail success, its admittedly “aggressive” rollout of stores is also being made possible by store closures that are driving commercial real estate rents down. In New York, where Casper’s first store opened, commercial rents have been hit particularly hard by retail store closings. The average asking rent for available retail space has dropped to $US653 per square foot from $US811 per square foot a year, according to a report released by CBRE in April. “The overall distress in real estate allows us to get very favourable terms. The landlords are being pretty progressive and giving us great options for locations and flexible lease terms,” Krim said.